Mixer is a free video game streaming website and service owned by Microsoft. Mixer was originally named Beam but was rebranded as Mixer due to the Beam name being unavailable in all regions. Mixer is in direct competition with Amazon's popular Twitch streaming service that also focuses on live broadcasts relating to video games. Both streaming services also have a small percentage of users who choose to stream video content relating to cosplay, food, live podcast recording, and casual conversation. What Do the Mixer Mobile Apps Do? There are two official Mixer apps available for iOS and Android devices. The main Mixer app is used for viewing other streamers' broadcasts, commenting on streams, initiating co-hosting from your own channel, and for receiving alerts for when channels you follow go live. The iOS and Android Mixer Create app is used for broadcasting content to the Mixer streaming service from a smartphone or tablet. Mixer Create can be used to live stream video footage from a device's webcam or even broadcast gameplay of mobile video games on the same device. How Does Mixer Work on Xbox One Consoles? The official Mixer app for Microsoft's family of Xbox One consoles is used to watch Mixer broadcasts, follow and subscribe to accounts. It's very similar to the YouTube or Amazon Video app. The Xbox One Mixer app also allows for participation in a channel's chatroom. Mixer's broadcasting functionality is actually integrated directly into the Xbox One's operating system so console owners can stream to Mixer from the Xbox One dashboard without using the app. Is There a Windows 10 Mixer App? There is not an official Mixer app for Windows 10 PCs. 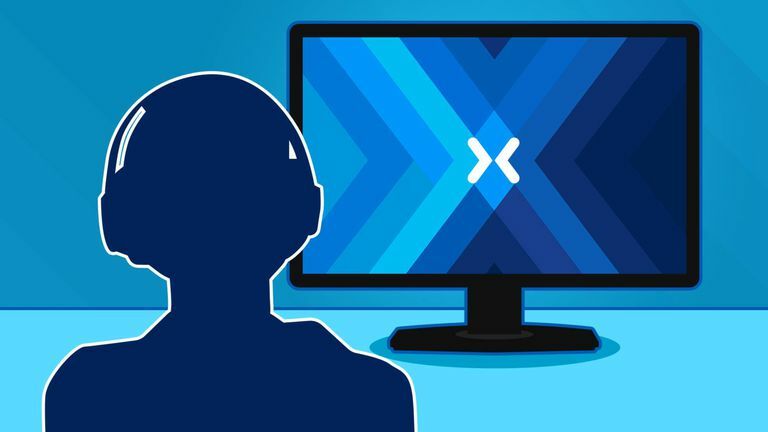 Like the Xbox One, Mixer broadcasting is built directly into the Windows 10 operating system so for basic Mixer streaming, users do not need to download an extra app. For watching Mixer streams on a Windows 10 PC, users are encouraged to visit the Mixer game streaming website, Mixer.com, in the Microsoft Edge web browser. Is Mixer on Sony's PlayStation 4 Consoles? Sony's PlayStation 4 (PS4) family of consoles do not have native support for Mixer nor do they have an official Mixer app. Mixer broadcasts can still be viewed on a PS4 by visiting the Mixer website via the console's web browser however and video game streamers can still broadcast their PlayStation gameplay to Mixer by using a capture card, a computer, and a copy of OBS Studio in the same way streaming to Twitch is done. It's unlikely that Mixer integration will come to Sony's PlayStation consoles given that Microsoft owns both Mixer and Xbox which are direct market rivals. How Is Mixer Different Than Twitch? Mixer offers a very similar streaming service to Twitch that functions in an almost identical fashion. On Mixer and Twitch, streamers can broadcast natively from an Xbox One console or via OBS Studio on a PC or Mac and are also allowed to stream a variety of content in addition to video game gameplay. Here are four main differences between the two. Mixer's Mixer Create mobile app allows for the broadcasting of live video and mobile video games directly from a smartphone while the Twitch mobile app is restricted to just video broadcasting. Native Twitch broadcasting is available on both the PlayStation 4 and Xbox One family of consoles. Mixer streaming is only natively available on the Xbox One. Neither is possible on the Nintendo Switch. Mixer does offer more interactivity with streams via special sound effect buttons that can be pressed while watching. It also boasts direct integration with some video games such as Minecraft which allow for stream viewers to affect what happens in-game. Mixer supports co-streaming, a feature that enables several streamers to simultaneously broadcast gameplay from their own channels while displaying each other in a split screen presentation on all of the involved channels. It's kind of like The Brady Bunch opening credits but with gamers. Mixer can be a good option for Windows 10 or Xbox One users who are new to streaming due to its native integration with each system. Being newer than Twitch, there's also a lot less competition on Mixer when it comes to finding a potential audience. Twitch has way more users than Mixer and, as a result, it's much easier for viewers to find someone to watch on that platform. Twitch has managed to attract a high number of entertaining full-time professional streamers via their Twitch Affiliate and Partner programs so the quality of the broadcasts also tends to be higher than Mixer. The potential for earning revenue on Twitch as a streamer is significantly higher than on Mixer due to the number of viewers available, the numerous monetization options for streamers, and Twitch's focus on being a place for gamers to make a living doing what they love. Mixer often rewards users for choosing to watch special events on Mixer by crediting their Xbox accounts with free digital video games and downloadable content (DLC). These special giveaways usually take place during game industry livestreams such as E3 or Gamescom and are announced several days beforehand via the official Mixer Twitter and Facebook accounts. Viewers don't need to do anything beyond watching the specified streams to get the free games as Mixer and Xbox accounts are connected to the one main Microsoft account. The same one that's used to purchase apps or movies on a Windows 10 PC or access Outlook and other Office 365 services. In addition to streaming live broadcasts of video game industry events, Mixer also streams a variety of esports events throughout the year and currently has exclusive broadcast rights to the Paladins Console Series esports tournaments. Mixer has also produced several esports-related shows which can be viewed on the streaming service and often broadcasts special gaming events from select Microsoft Stores.